Not many know about Weekday, one of the little sisters of the H&M group. 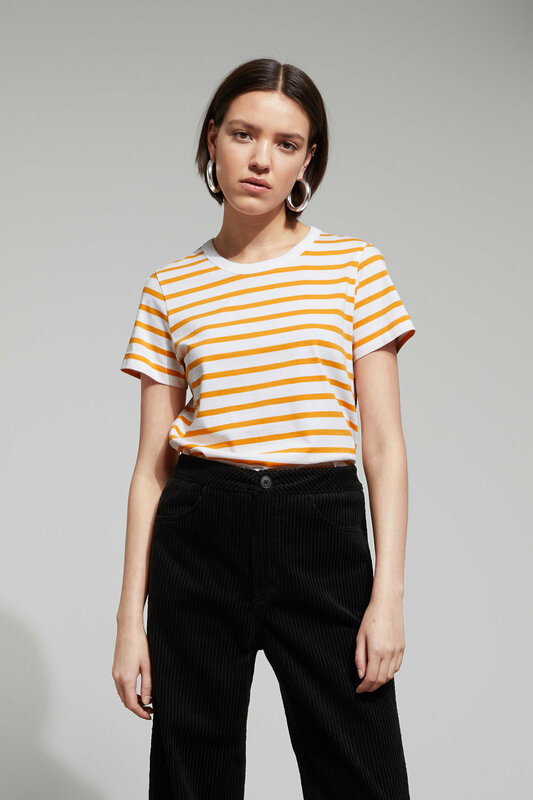 It’s a relatively new brand, that tries to take that scandi minimal look we love to the high-street, with some of the best prices on the market. The result are young and modern pieces, simple and very easy to pair with everything, without losing the trendy element. Their new initiative, a weekly print project named Zeitgeist, releases new t-shirts with designs reflecting on current events every week, with limited quantities. And they’re sold out every single time. They’ve got a few “in real life shops” (in fact, the 6th of April they’re opening a new one in Brussels) but their main selling point is their website. Keep scrolling to see our favorite pieces from the brand's latest collection. This jumpsuit is the most practical item: for the everyday dressing with a pair of sneakers or for a night out with heels. Featuring one of the color combinations for this season (red and pink), this sweater looks good with any pair of jeans in your wardrobe. They're one of Weekdays best sellers and for a reason: they're the perfect straight legged jean. The best pair of sunnies when you just want to hide from the world. A camel coat is a clear staple piece on your collection: looks good with almost everything and adds a bit of color to any blackened winter wardrobe. You've got many options with this kimono: wear like this, with jeans and a t-shirt, or wrapped around your waist like a dress.